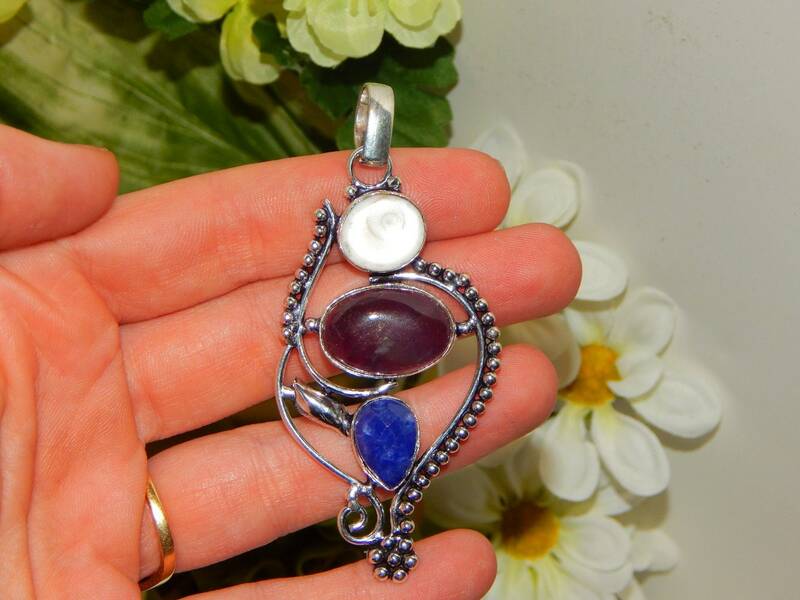 A beautiful multi-stone pendant featuring an accent of Fossil shell along with Amethyst and natural faceted Sapphire gemstones, all set within a genuine sterling silver setting- includes an 18 inch sterling silver chain. Authentic vessel inspired by a powerful and generous male Seraphim Angel. 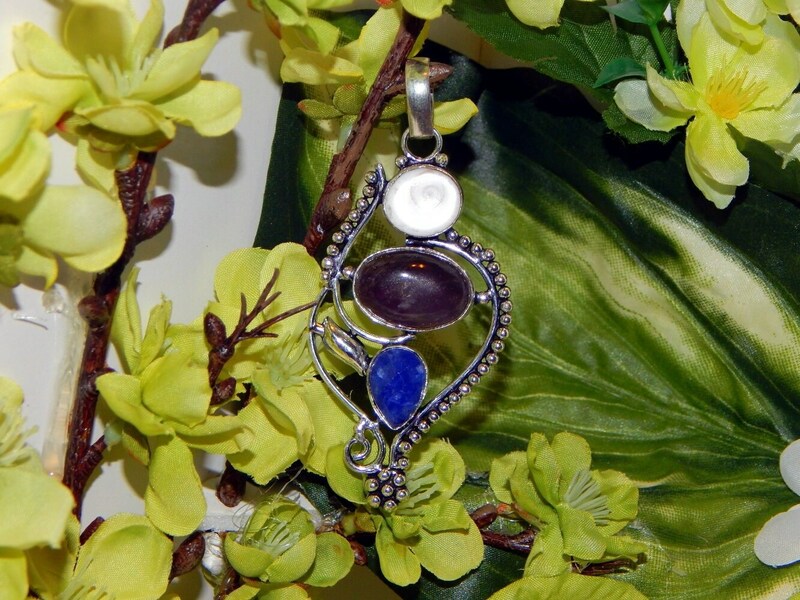 As always, I am happy to answer any questions regarding my unique jewelry pieces.